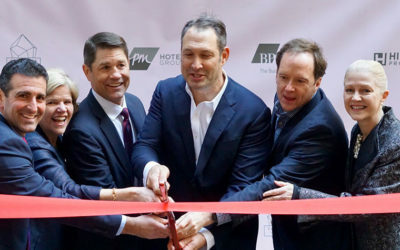 The New York hotel officially opened its doors to the public shortly after New Year’s Day. The 40-story hotel was transformed into an English Garden with floral arrangements, rosé tasting stations, a cotton candy machine and a St-Germain cart. Managed by PM Hotel Group, it is the only Embassy Suites by Hilton in all of Manhattan. 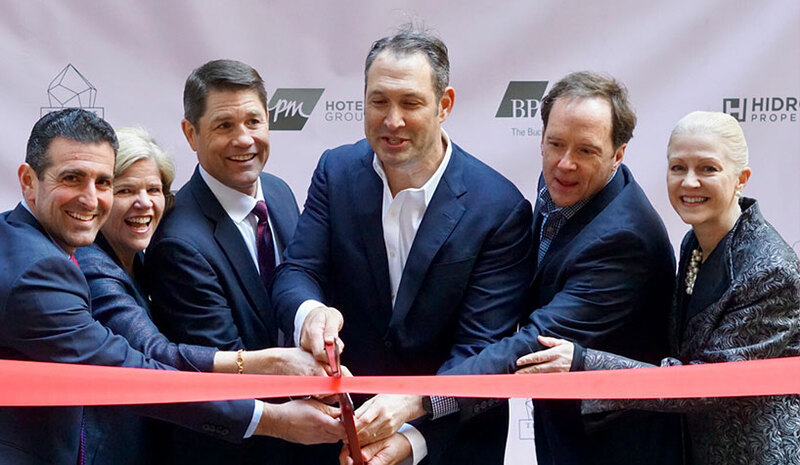 Campion Platt Interiors was selected to design the hotel’s public areas, while HVS Design was responsible for the guest suite and corridor designs.